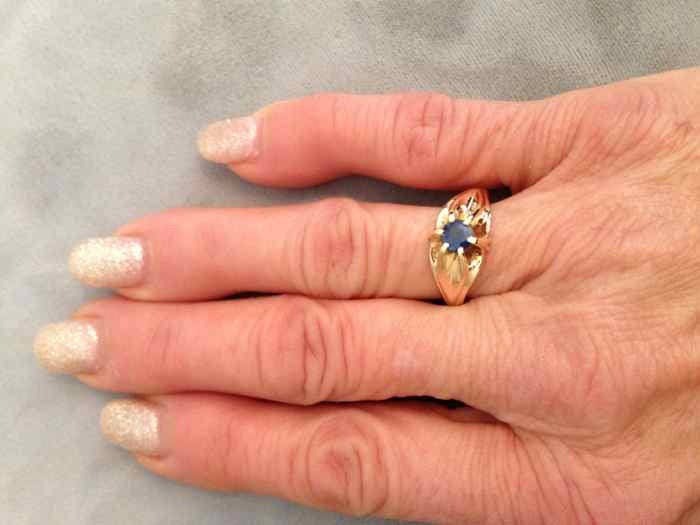 I have had both men and women try this ring on and it looks great! 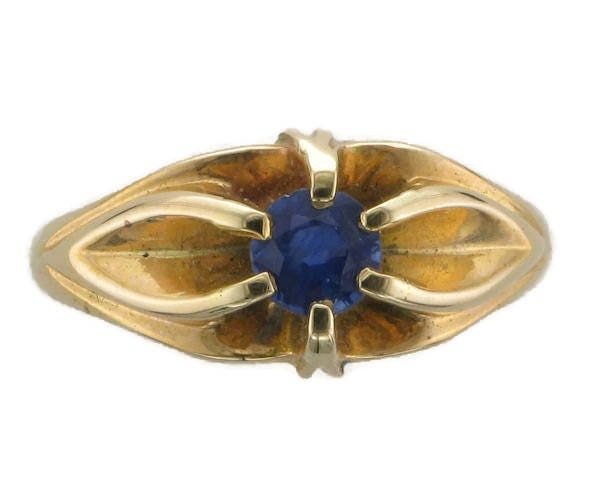 The ring is 14 karat gold and contains one round faceted sapphire weighing approximately 0.65 carats. 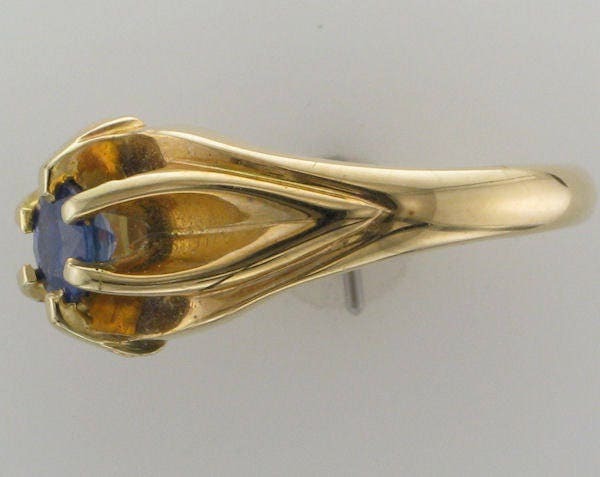 The sapphire is considered to be moderate to dark blue in hue. This ring is super comfortable on!